Mohan Kailas is the President, Owner and founder of Kailas Companies. Upon its founding in 1990, Kailas Companies owned and managed roughly 25,000 square feet of commercial office and retail space. Today, Kailas Comp sum exceeds two million square feet. Through Mohan Kailas’ diligent and committed work, Kailas Companies transformed into Louisiana’s top owner/operator of commercial property. With over thirty years of real estate experience, Mr. Kailas’ acumen extends to nearly every facet of property management–including single family homes, 200+ unit high rise apartments, condominiums, retail and commercial office space. Mr. Kailas’ extensive background in these fields allows him to make sound decisions and financially evaluate properties in much of the ways the rest of the industry cannot. A graduate of Osmania University in Hyderabad, AP in India, Mohan Kailas earned an undergraduate degree in Biology and a Masters degree in Law. He is a member of the International Council of Shopping Centers, the Urban Land Institute and both the Orleans and Jefferson Chamber of Commerce. 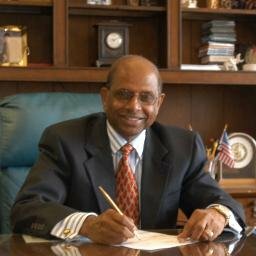 Furthermore, Mr. Kailas is a member of the Canal St. property owners association in New Orleans–a group which is spearheading the revitalization of downtown New Orleans. Mr. Kailas cares deeply about his heritage as well. He is an active member and former president of the Indian Business Association. Additionally, Mr. Kailas plays an extremely important role in the American Association of Indian Professionals, serving as its Treasurer and later Vice President since 2005. Mr. Kailas directly oversees the development of all new projects and related business of Kailas Companies, primarily focusing on controlling expenses and increasing profitability – maximizing return on investment. In additional to his heavy involvement in the day to day operations of the company, Mohan Kailas is continuously active in building and maintaining professional relationships, and developing corporate goals and strategies. Naveen Kailas joined Kailas Companies in 2011. 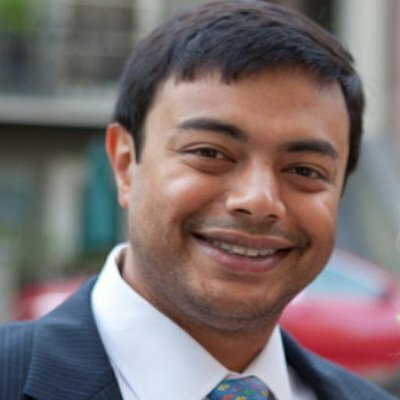 Prior to joining the company, Naveen Kailas earned two bachelor’s degrees from Boston College and a J.D. from Tulane University Law School. At Tulane, he concentrated on real estate law and earned a certificate in Louisiana Civil Law. Naveen holds certificates in negotiation and arbitration/mediation. He is a Louisiana General Contractor licensed in commercial building construction. His education and skills provide Kailas Companies with a wealth of knowledge in areas that include: development, acquisitions, operations, pre-construction contract negotiation and construction. Naveen’s acumen has been on full display on several projects for Kailas Companies. This includes Merchant Lofts, 201 Magazine St, New Orleans, LA (38 Units, 11 parking, 2,500 sq ft. retail) and 201 Baronne St., New Orleans, LA (261 units, 125,000 sq ft. retail). While working on these projects for Kailas Companies, Naveen Kailas demonstrated his ability to successfully oversee tasks including Preconstruction Negotiations, Building Design Review, Contract Administration, Construction Management, and successful lease-up of properties.